AppleScript that relaunches the Dock. Is there a better alternative to DockRestarter? Is DockRestarter really the best app in AppleScript category? Will DockRestarter work good on macOS 10.13.4? 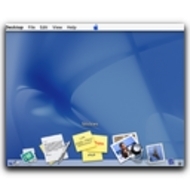 DockRestarter is a handy AppleScript that relaunches the Mac OS X Dock when it freezes. You can use DockRestarter as a standalone application or as an AppleScript menu item. The Script Menu Item (SMI) Installer will activate the Script menu in the menu bar and install the DockRestarter AppleScript in the folder "Dock Scripts". DockRestarter needs a rating. Be the first to rate this app and get the discussion started!